Dr. Robert Spoo is an academic scholar, professor of law, and one of the nation’s leading authorities on copyright law. As a member of the firm’s Intellectual Property Group, he provides advice and litigation assistance to authors and poets, scholars, museums and cultural institutions, colleges and universities, libraries, filmmakers and documentarians, musicians, artists, record companies, publishers, broadcasting companies, software technology companies, governmental entities, and individual creators, users and distributors of intellectual property assets on matters related to copyright clearance, copyright use and misuse, fair use, works in the public domain, copyright infringement, digital piracy, and licensing matters. Bob has particularly extensive experience representing museums in developing a multitude of policies and agreements, including archive and library access, donations of artwork and other gifted works, museum purchases, art reproductions, digital compilations, and licensing arrangements. A published author himself, Bob is also highly skilled in assisting writers in navigating a myriad of issues associated with the publication of a manuscript. These include manuscript vetting for copyright and fair use, defamation and privacy issues, publishing contracts, option clauses and warranties and indemnities in contracts, confidentiality agreements, and the formation of limited liability companies. In addition to his private practice, Bob serves as the associate dean for faculty development and Chapman Distinguished Professor of Law at the University of Tulsa College of Law and is a prolific author and speaker on copyright law. His writings have appeared in books, law journals, legal treatises, governmental reports and humanities journals, and he has been a featured lecturer at universities and conferences across the United States, Canada, Ireland and England. His book, Without Copyrights: Piracy, Publishing, and the Public Domain, published by Oxford University Press in 2013, tells the story of the evolution of American copyright law and how it was shaped by authors, publishers and literary pirates. Bob’s latest book, Modernism and the Law, was released in August 2018 by Bloomsbury Academic. He also serves as co-editor of a Law & Literature series with Oxford University Press. In 2016, Bob was one of four law professors in the United States and Canada to be awarded a prestigious fellowship from the John Simon Guggenheim Memorial Foundation. 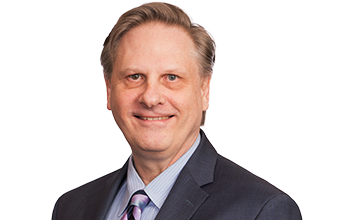 Bob’s achievements have earned him inclusion in The Best Lawyers in America (copyright law, intellectual property litigation). 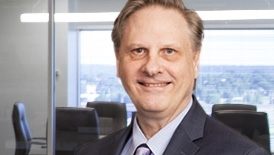 In 2014 and 2018, he was named by Best Lawyers as the “Tulsa Copyright Lawyer of the Year, an honor given to a single lawyer in each legal specialty in each community. Early in his legal career, the Wisconsin native served as a law clerk to The Honorable Sonia Sotomayor, at that time a judge on the U.S. Court of Appeals for the Second Circuit. His prior career experience also includes working at law firms in New York City and San Francisco and as a tenured English professor at the University of Tulsa. Advised the U.S. District Court for the Southern District of New York on the relationship between two novels, “Catcher in the Rye” and “Sixty Years Later Coming Through the Rye,” in a copyright infringement lawsuit brought by noted author J.D. Salinger one year prior to his death. Obtained very favorable settlement, as well as the recovery of attorney’s fees, for a Stanford University English professor in a declaratory judgment action against the James Joyce Estate based on the issues of fair use and copyright misuse. Advised Vietnam’s Ministry of Education and Training on the development and protection of intellectual property within the country’s university system. Advised major Irish cultural institutions regarding their copyright needs. Represented a noted New York poet in his negotiations to donate his literary papers to an American university. Represented a noted Canada-based poet in her negotiations with a new literary agent. Represented a New York fine art photographer in his negotiations to donate some of his works to a university museum in the United States. Advised a British-based record company in its efforts to put out a CD based on potentially copyrighted poems of a major 20th century author. Advised a Canadian website on copyright issues affecting its plans to make use of well-known literary works from the early 20th century. Assisted an Oklahoma-based entrepreneur with plans to produce a ballet based on Native American stories and traditions. Represented a Virginia-based documentary filmmaking company in its efforts to produce and distribute award-winning films. Defended a major professional sports entertainment company in a copyright lawsuit brought by a songwriter. 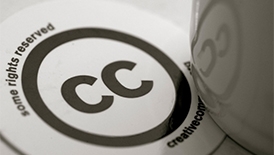 Copyright & Fair Use: Where Are We Now? Who Owns Copyright for Work Created in the Employment Setting?